My passion and commitment to see natural solutions for our skin and organic nutrition for our internal health goes back to February 1999. As I heard the words “You have the start of cancer in your body” my mind raced. As I went to stand up to leave the room my legs would hardly move. I had to truly heal my mind, body and soul. I had experienced a tumour in my lung and rib cage some years previously. This time I was going to take control of my health myself and make the correct decisions after research and studying what would be appropriate. I also aligned myself with one of Australia top bio-chemists, with whom I later went on to work alongside. I am a great believer in science when it is focussed on harnessing the power and effectiveness of nature, which has in fact been with us since creation. 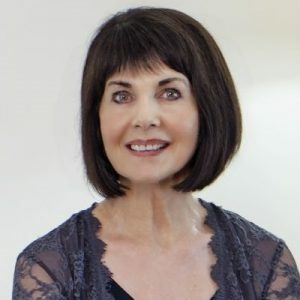 Having armed myself with knowledge, I went on to speak openly in small and large forums about the amount of toxins, (many of them acknowledged as potential carcinogens) allowed to be contained in the products we use on our bodies daily. Toxins in the form of harmful chemicals contained in the many products that people are using on their skin and how this is contributing to many illnesses and cancers. For many women, and increasing numbers of men, the selection of skin, hair care and toiletry products that they use have a significant daily influence on these critical toxicity levels. It was these issues that was one of the primary reasons for my decision to formulate the CELL INFUSE Organic & Natural skin care products and nutraceuticals. 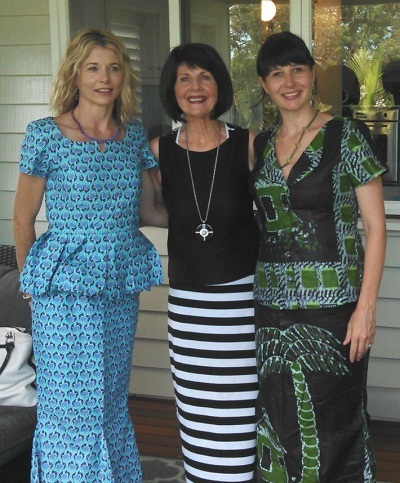 Here's me with my beautiful girls wearing African attire. Manufacturers use these nasty chemicals because they are cheap. These may give you the appearance of good results at first. But critically, the continual long term use of these man-made chemicals like sulphates and parabens not only destroy our complexion, but set us up for potentially much more serious long term effects. Our body cannot deal with them so it stores them, (most commonly in fat cells) often leading to weight gain and other long term health issues. Many companies build to price, rather than results. Again, this really concerns me. Skin care companies don’t need to be using these toxic substances in the first place. There are many safe, effective and natural nutrients & ingredients that work well to smooth away your wrinkles, improve skin tone and hydrate and soften even the driest dehydrated skins. As can be seen, it is now my uncompromising belief that the answers do lie in natural solutions. Solutions that work in harmony with the skin and our bodies, stimulating, detoxifying and regenerating. Nature always has and still provides the answers. We just need to invest in careful research into finding the correct products. They are there! !